Contrary to popular belief, I'm not as organized as everybody seems to thinks I am. 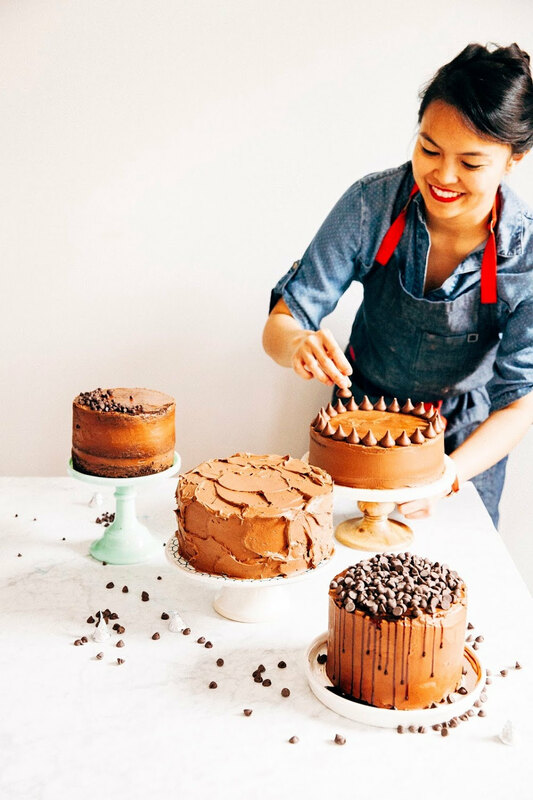 This is my first post where my recipe actually corresponds to a holiday, and can I tell you a secret? That was kind of accidental. Especially since, well, here's another secret: I'm not the world's biggest fan of Mexican food. I always cringe a little bit when I let that bomb drop. "What?!?!" People exclaim at me. "How can you not like Mexican food?!? Who doesn't like burritos/tacos/insert-beloved-Mexican-dish-here?" Me, apparently. I don't know... part of it is that I'm incredibly spoiled — after high school in Texas and a two year stint in the Mission District of San Francisco, I was constantly surrounded by awesome, high-quality Tex-Mex and California-Mexican food. And I think it was during that time that I kinda OD'd on Mexican food — as a starving post-college kid, I definitely spent most of my paltry paycheck from my first job on burrito dinners. One can only have a thousand calorie burrito/taco a few times before it starts to get old, not to mention negatively effect your waistline. Mexican chocolate, on the other hand, is a different story. Ohhh yeah. I took it there. When I first got the idea for Mexican chocolate truffles, I set about the fancy grocery stores in my neighborhood to search for some Mexican chocolate. Much to my dismay, good quality Mexican chocolate ended up being something like $6 for barely 3 ounces. Yikes — at that rate, a basket of chocolate truffles would end up costing me a quarter of my biweekly paycheck! After some careful thought, I decided to see if I could "fake" the Mexican chocolate flavor. Why not take a truffle recipe I already trusted and throw in the Mexican spices I adored? 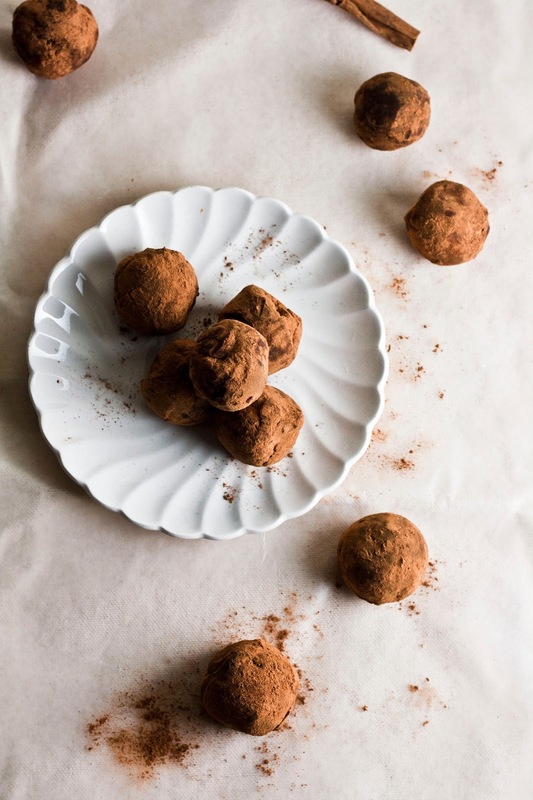 Because Mexican chocolate tends to be a little bit more grainy than regular chocolate (on account of all the spices), I was careful to use lots of butter in the recipe to give the truffle a perfectly smooth texture. The result is awesome: a perfectly smooth and silky chocolate, with the kick from the spices I adore in Mexican chocolate. My only word of warning about this recipe is to keep them refrigerated since they tend to melt in the sun. They are mostly made of chocolate and butter after all. In a small saucepan, combine 2/3 cup heavy cream and 1 tablespoon light corn syrup and heat to just under a boil. Remove from heat and pour immediately over the chocolate, letting the mixture sit for a minute or two. 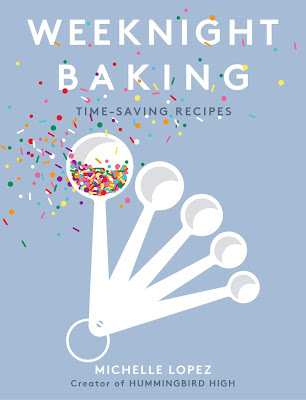 Stir with a rubber spatula in a circular motion until all the chocolate has melted. Add 5 tablespoons butter and 1 tablespoon ground cinnamon and stir until it is incorporated. Let the mixture firm up in the fridge for about an hour and a half or so. In a small bowl, whisk together 1/2 cup ground cinnamon, 1/2 cup cocoa powder, 1/2 teaspoon ground nutmeg, 1/2 teaspoon ground all-spice, and 1/4 ground cloves. Set aside. After about an hour and a half, check on your truffle mixture. If the mixture has hardened but still pliable, it's ready. Use a 1-tablespoon cookie scoop to scoop out a tablespoons worth of chocolate and place it in the shallow bowl filled with ground spice (from the third step). 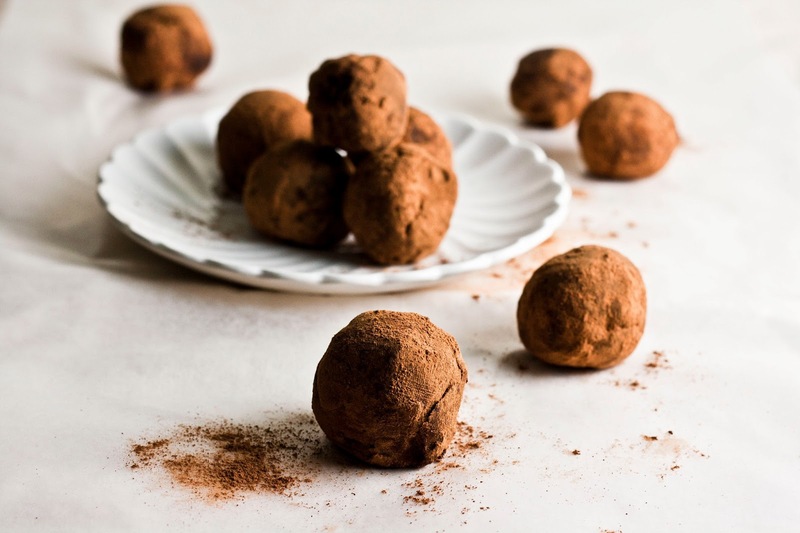 Roll the truffle in the cocoa powder until it is coated evenly. When the truffle is coated evenly, use your palms to roll it into a circular shape. Repeat until the chocolate mixture runs out. Voila! That's it. The truffles will keep in an airtight container in the refrigerator for 2 weeks. 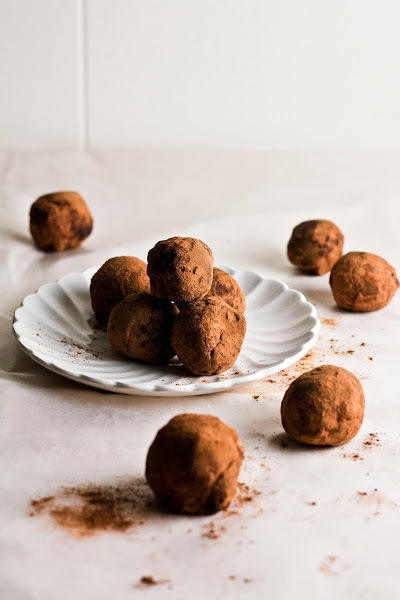 These look amazing, I love the sound of homemade spicy chocolate truffles! These sound fantastic! 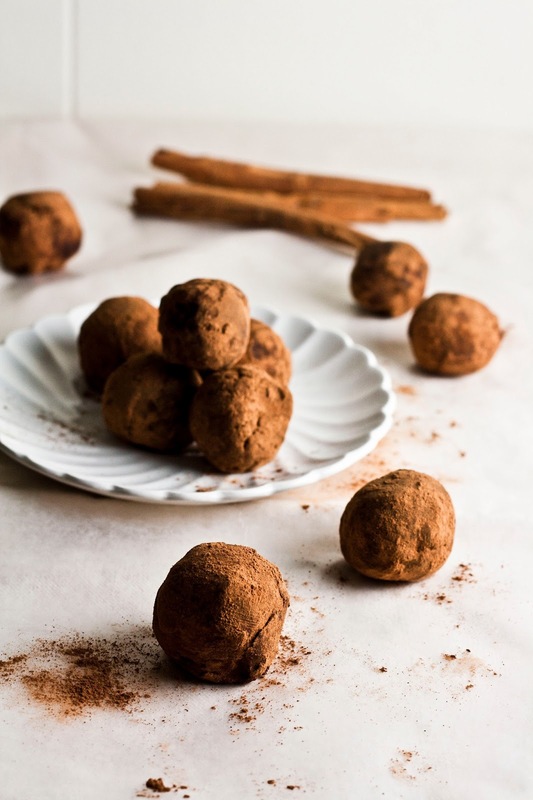 I love spiced chocolate, and making truffles out of it? SWOON!! Wow. Looks delicious! I plan on making these for Valentines Day... Can I halve the recipe? or even just a quarter of it?